Everyone has a different way to de-stress. Some take day trips to commune with nature, visiting lakes, caverns, swimming holes, or watching bats hunt. Others enjoy the sense of history in the small towns of Texas, or in one of many museums. Some travel with kids to amusement parks, safari parks, and water parks, while others prefer to go alone and challenge themselves, or learn something new or unusual. 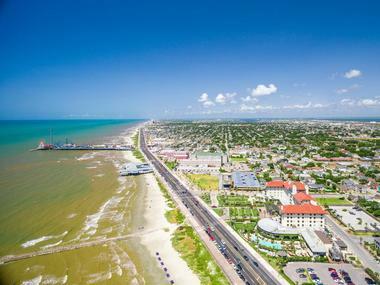 With its large size and fascinating history, Texas has it all. Fredericksburg is a city in central Texas founded in 1846 by a group of German pioneers. The town, especially its Historic District, has a strong German flavor, especially in its architecture, food, and festivals. The best place to learn about the city's German heritage is at the Pioneer Museum, which features settlers' homesteads and artifacts. Located in the town square, Marktplatz, is the Vereins Kirche, a replica of a 19th century original German church that once stood in its place. The large National Museum of the Pacific War showcases WWII exhibits. The Fredericksburg Historic District offers a fascinating trip through the city’s architectural past with over 700 historically important structures. Lyndon B. Johnson National Historical Park, located on the ranch that belonged to the former president Lyndon B. Johnson, offers fascinating self-guided tours. Fredericksburg is surrounded by century-old peach orchards and a number of well-known wineries. 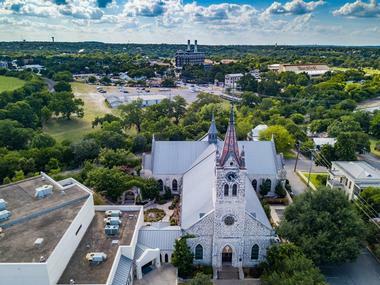 Located deep in the Texas Hill Country, between San Antonio and Austin, New Braunfels is an incredibly charming small town founded in 1845 by a group of German settlers. To this day, New Braunfels has a strong flavor of the Old World, perfectly balanced with the small town Texas charm. The carefully preserved Gruene Historic District is wonderful to explore, with historic buildings like the 1800s Gruene Hall. The Comal and Guadalupe rivers that flow through New Braunfels offer endless recreation, and Schlitterbahn Waterpark is a popular playground and a cooling haven during hot summers. 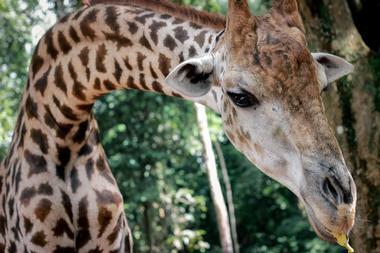 Natural Bridge Wildlife Ranch & Caverns, with 500 animals, is beloved by animal lovers. The best time to come for a visit is during one of its many festivals, when the town is alive with traditional music and food. 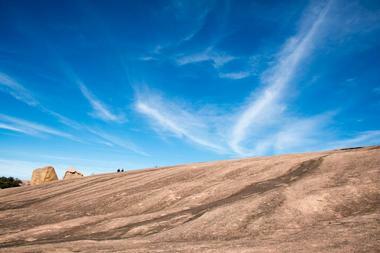 Enchanted Rock is a pink granite mountain located about 17 miles from Fredericksburg, Texas. Technically an igneous rock intrusion, this massive dome is made of pink granite and stands 425 feet above the ground that surrounds it. It is not surprising that such a strange, and very beautiful, natural formation inspired legends and was attributed spiritual powers by the Tonkawa Native Americans and early Spanish and Anglo settlers. It is not only the rock’s unusual color that makes it so mysterious. Enchanted Rock makes strange creaking noises on a cool night after a warm day. Also, there are many small pools in the depressions in the rock, each with tiny shrimps living in it. The rock also contains a 1,500-foot-long cave, dark, wet, and often spidery. Artifacts 11,000 years old have been found in the cave and even a rare semiprecious stone known as Llanite. It is illegal to remove any rocks from the park. 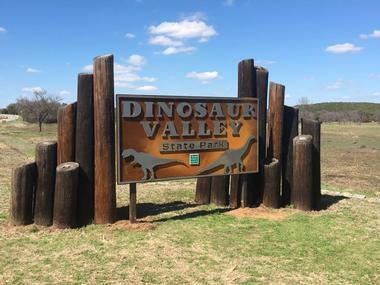 The giant statues of dinosaurs found all over Dinosaur Valley State Park near Glen Rose in Texas remind visitors that giant animals once roamed the area. The park covers over 1,500 acres and features massive tracks wonderfully preserved in the ancient limestone, proving their existence. The Paluxy River, which today runs through the park, was once the shore of a vast Cretaceous ocean. Dinosaurs once roamed those shores, leaving their footprints in the mud. Millions of years later, those footprints have become incredibly clear fossilized stone footsteps. The park is especially popular with kids, who love searching for dinosaur tracks, which are located in the river bed and are not always visible. The park is also popular for camping, hiking, mountain biking, swimming, and fishing in the river. 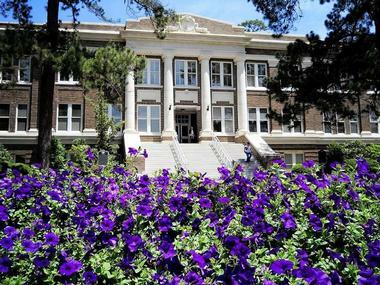 Nacogdoches is a charming Southern town in East Texas, best known as the home of the Stephen F. Austin State University. The town, which is a sister city to nearby Natchitoches, Louisiana, is home to a population of nearly 33,000 residents, originally established as the Mission Nuestra Señora de Guadalupe de los Nacogdoches in 1716 and serving under nine different state and country flags throughout its history. Today, the laid-back Southern town is home to one of East Texas' final family-owned plantations, the August Tubbe Plantation, and is the host of the annual Texas Blueberry Festival in June. Visitors can explore attractions such as the 10-acre Mast Arboretum, the Millard's Crossing Historic Village living history museum, and the Old Stone Fort Museum, which recreates an important 1779 militia fort. Every summer, Bracken Cave provides home to over 15 million Mexican free-tailed bats (Tadarida brasiliensis). 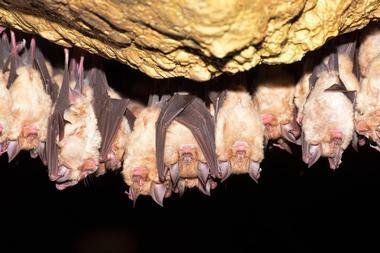 It is the largest bat colony in the world and one of the world’s largest concentrations of mammals. Every day, at dusk, millions of bats fly out of the cave to hunt insects, providing a spectacular sight popular among locals and visitors to San Antonio. The cave is located about 20 miles from downtown San Antonio, and is under constant threat of urbanization. To prevent the cave from being swallowed by subdivisions, in 1992 Bat Conservation International (BCI) bought the land on which the cave is located and, with its conservation partners, continues to purchase additional land around the cave. Their goal is to protect not only the bats, but also other endangered and native species found on the Bracken Cave Preserve. The Cavanaugh Flight Museum is an aviation museum in Addison, Texas, located at Addison Airport. The museum was established in 1993 to promote education, research, and aviation heritage in the States. The museum also works on aircraft restoration, operates and maintains a number of flying aircraft, and maintains and displays vintage machines of historical significance. The original collection of aircraft in the museum was the personal collection of a successful businessman, Jim Cavanaugh. The Cavanaugh Flight Museum also has an aviation art gallery with artworks from Keith Ferris, Roy Grinnell, William Phillips, and other renowned artists. 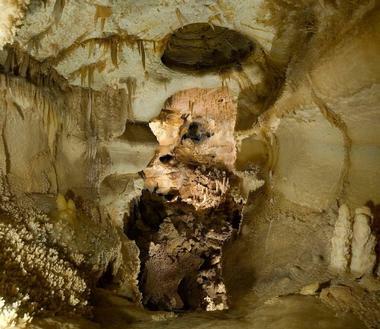 The Caverns of Sonora is a world-class cave located about 8 miles from the small city of Sonora, Texas. The cave is famous for its spectacular calcite crystal formations, especially helictites. The cave was discovered by accident in 1905, on the Mayfield family ranch. Many of the unique mineral formations found in the cave have bizarre names such as “bacon” – layered flowstone formed by mineral-rich water that is repeatedly moving along the same path. “Popcorn” are small mineral nodes on cave surfaces, while “soda straws” are hollow mineral cylinders. These fascinating speleothems cover every inch of the roofs, walls, and floors of the cave, creating a spectacular glittery, surreal underground world. Opened to the public in 1960, the cave today has a network of railings, stairs, and trails that make it easier to explore. Dripping Springs is a small town in Texas, about a half-hour drive from Austin. 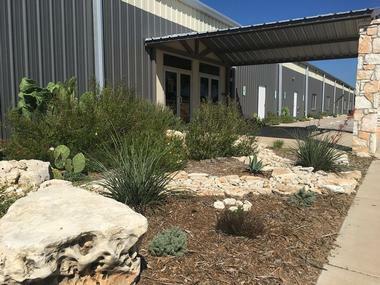 Famous as a brewery, distillery, and winery destination, Dripping Springs is also the wedding capital of Texas and a popular tourist spot for those who just want to enjoy the big Texas sky, a slower pace, rolling hills, and good food. A great spot to learn about the town’s history is 1854 Dr. Pound Historical Farmstead and Pioneer Museum, with family events, tours, and beautiful gardens. The cool waters and beautiful setting of Hamilton Pool are one of the town’s main attractions. Another nice green space is Pedernales Falls State Park with the Pedernales River, which forms pools and waterfalls as it meanders through the verdant hills. Tours of Dripping Springs craft distilleries can be a trip of its own, and there are quite a few. Arguably the most notable is Deep Eddy Distillery. Jester King is a craft brewery located in an authentic farmhouse on a huge ranch that is known as the best adult playground in the area. Located in Central Texas, about 2 hours from Austin, the city of Dublin is as Irish as it is possible on this side of the Atlantic. In fact, in 2005 Governor Rick Perry designated Dublin as the official Irish Capital of Texas. 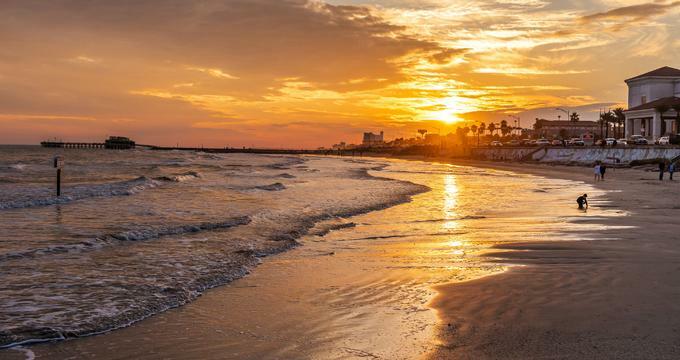 The small, lively town is known as the birthplace of the legendary golfer Ben Hogan as well as for Dublin Bottling Works, which has been bottling Dr. Pepper for 120 years. Musician Luke Wade was also born and raised in Dublin. The town is also known for its five museums and a historical gristmill located in the Wright Historical Park. The Dublin Historical Museum is a great place to learn about the town’s history and origins. The Little Church on Grafton Street is one of Dublin’s historical jewels, while the Dublin Veterans Memorial honors its citizens who have served the country. Fort Griffin was a US cavalry fort established in 1867 by four companies of the Sixth Cavalry of the U.S. Army. The fort was part of the line of western defensive forts. 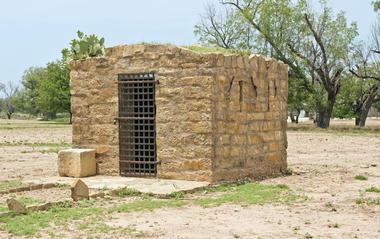 Now a Texas State Historic Site, the park is a wonderful combination of historical ruins and green rolling plains, perfect for camping and getting a glimpse into Texas' military history and giving visitors a taste of the true Old West. Among the ruins are former barracks, a mess hall, bakery, powder magazine, and a well. Fort Griffin Park is also home to the Official State of Texas Longhorn Herd, a part of the myth of the Texas cowboy. 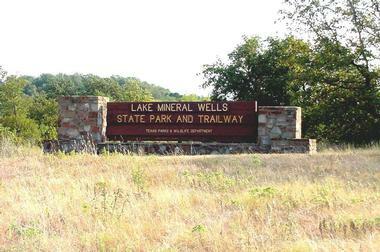 Inks Lake State Park is located in the heart of the Hill Country about an hour from Austin. It was created to protect the environment of Inks Lake on the Colorado River and is surrounded by lush forests, a mix of live oak, cedar, prickly pear cacti, and yuccas. The park is rich in wildlife, including deer, vultures, and many types of birds. The lake and the park are a popular family destination on hot summer days. Visitors can camp, picnic, backpack, play volleyball, hike and observe nature. There are nine miles of hiking trails through pleasant, shady forests and over rocky hills. The group picnic pavilion is available for family get-togethers and parties, while the pleasantly cool lake is great for swimming, boating, scuba diving, fishing, and water skiing. There is no lifeguard on duty. 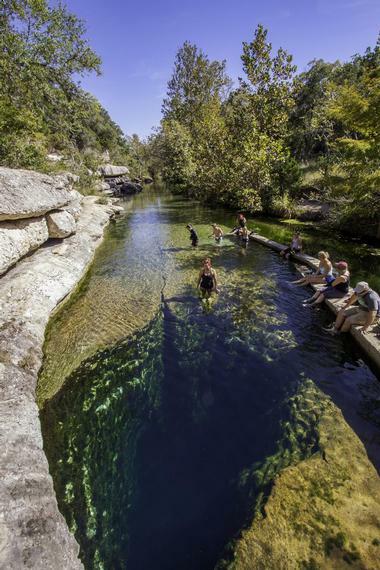 About an hour southwest of Austin, near the town of Wimberley, Texas, is a popular natural swimming hole called Jacob's Well. Surrounded by a pile of large rocks, Jacob’s Well is incredibly inviting, cool, and refreshing and is considered one of the most deadly diving spots in the country. From the surface, the round blue pond drops vertically down to 30 feet. Nothing too challenging for experienced rock jumpers or divers. Further down, the hole extends into narrow caves that are very attractive for adventurous divers. After the first vertical shaft, the cave curves into a network of tight, dark caves that have trapped and killed more than a dozen divers who were unable to get out. Unfortunately, this reputation for being so dangerous is only more attractive for adrenaline-junkies, including local kids. Located north of Jasper, Texas, the Sam Rayburn Reservoir was designed to provide flood control for the Neches and Angelina river basins, to supply water to Beaumont and Lufkin, and to offer superb recreation with some of the best fishing, boating, and camping in Texas. 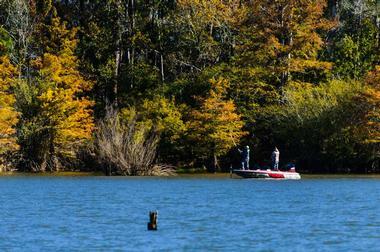 Sam Rayburn Lake is the largest artificial lake in Texas, stretching over 114,400 acres. The lake’s maximum depth is 80 feet. Almost 750 miles of shoreline offer many great spots for a picnic, launching the boat, fishing, and or just enjoying the peace on the lake. Besides watersports, the lake’s lush forested surrounds are great for camping, birdwatching, hiking, and scenic drives around the lake. Mineral Wells Fossil Park is a haven for amateur paleontologists and fossil collectors: 8 acres of gravel and rocks to sift through, with a good chance of finding a 300 million-year-old fossil, and all for free. This former gravel pit at a disused landfill is a popular place open to everyone with a passion for history. Most of the time it is crawling with people digging with garden shovels, hoping to find the bone of a prehistoric animal or a piece of ancient pottery. What is even better, whatever they find, they can keep. The fossils belong to the Pennsylvanian Period and the most commonly found paleontological treasures are fossilized corals, clams, oysters, urchins, trilobites, sharks, and various plants. Monahans Sandhills State Park is a 3,840-acre park that stretches 70 miles long and 20 miles wide between Crane County, Texas, and Andrews County, Texas. 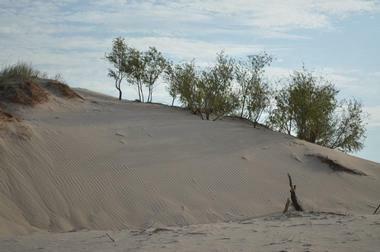 The park is composed mostly of sand dunes up to 70 feet high consisting of almost pure quartz. The wind constantly sculpts the dunes into ever-changing peaks and valleys. The park is a popular spot for exploring the semi-arid environment with the plants and animals that are adapted to it. It is also great place for sandboarding and just plain sliding downhill like in a large sandbox. The Dunagan Vis¬i¬tors Center is great place to learn about the natural and cultural history of the park. 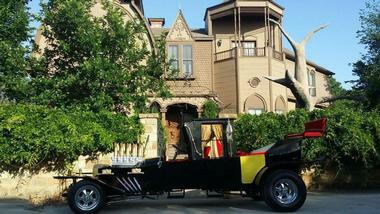 Charles and Sandra McKee loved the ’60s TV show The Munsters so much that they have spent 9 years renovating their Victorian home to make it into a perfect replica of the famous Munster mansion. In order to come as close to the Hollywood original as possible, the McKees had to watch all 70 episodes of the popular show so that they could reproduce the floor plan since the plans did not exist. Every room that was featured in the show has been copied, including the coffin-shaped phone booth. The stairs at the entrance lift up to reveal Munsters’ fire-breathing dragon. The house is available for tours only during October and during its annual Halloween charity fund raiser. During World War II, 1,074 women were trained to join men in the air to serve their country. They became Women Airforce Service Pilots (WASPs.) WASPs flew over 60 million miles in non-combat missions during World War II with the goal to free up male pilots to fly overseas. About 40 women died serving as WASPs. The program was closed because the US government refused to recognize WASPs as part of the military. The National WASP WWII Museum was founded in 2003 to honor the WASPs for their under-appreciated efforts. 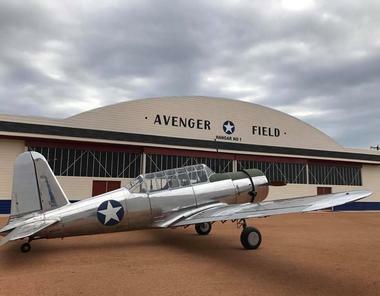 The museum is located on the edge of Avenger Airfield in Texas, where the WASPS were trained. Exhibits in the museum include the Bamboo Bomber used to train WASPs on Avenger Field. Natural Bridge Wildlife Ranch is a Texas-style African safari near San Antonio established in 1984. The safari is a home to over 500 animals from species from all over the world, organized in exhibits named Kilimanjaro Overlook, Kenyan Preserve, Tatonka Range, and Maasai Savannah. The visitors drive through 450 acres of rolling hills, oak groves, and creek beds, and enjoy watching the magnificent animals in their recreated natural habitat from the comfort of their car. The ranch also has the Walk-A-Bout area, with a number of bird and primate species, a petting barn with domestic animals, the Safari Camp Grill eatery, and the Safari Trading Post gift shop. Palo Duro Canyon is a 120-mile-long and 6 to 20-mile-wide canyon system in the Texas Panhandle near the towns of Amarillo and Canyon. 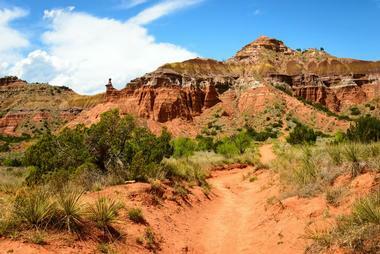 It is the second-largest canyon in the United States and was created by the relentless work of a fork of the Red River. The canyon has been inhabited by people for almost 12,000 years, including the Folsom and Clovis peoples, the Apache, Kiowa, and Comanche. Park Road 5, constructed in 1930, runs through the floor of the canyon, allowing visitors fairly easy access. The most prominent canyon feature is a 300-foot rock formation at the north part of the canyon called the Lighthouse. Visitors can reach it by a 3-mile hike once they get off the road. TEXAS, an outdoor musical drama, runs in the summer at the Pioneer Amphitheater located in the park. 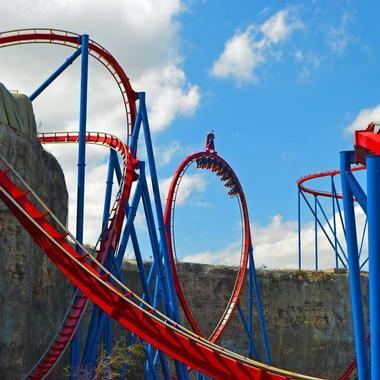 Six Flags Fiesta Texas is a 200-acre amusement park opened in 1992 in the La Cantera district of San Antonio, Texas. The popular park has hundreds of roller coasters, thrill rides, shows, and family attractions. The park's most popular ride at the moment is Scream, which can be seen from all over San Antonio. Some other key rides include the SkyScreamer, the Superman Krypton Coaster, and the Crow's Nest Ferris wheel, located in the Fiesta Bay Boardwalk. Visitors can cool off at White Water Bay, slipping down fun slides such as the Bamboo Chutes and Bermuda Triangle. Some of the most popular kids’ thrills are the Buckarooz bouncy tower and Daffy’s School Bus Express. There is always a fascinating show going on, such as the Halloween-inspired Fright Fest. Skyspace: The Color Inside is the University of Texas’ light and space installation created by artist James Turrell in a dome-like structure with an oculus open to the elements in the Student Activity Center. The room seats up to 27 people. Inside the room are lights that project colors onto the curved white ceiling in a way that looks like the sky is changing colors. The impression is fascinating, meditative, and slightly trippy. 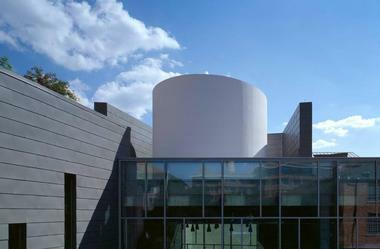 Turrell believes that his art should be watched only at sunrise and sunset, but since the center is not open at that time, the room is available for quiet contemplation during the day. Since 1970, Turrell has created 83 light and space installations across the globe. Since 1883, locals have been reporting seeing strange lights above the horizon in the Mitchell Flat, in the desert near Marfa, Texas. They describe them as glowing orbs the size of basketballs, at times yellow, white, blue, red, or other colors. They hover, twinkle, merge, split into two, float up into the air, flicker, or dart across the sky. 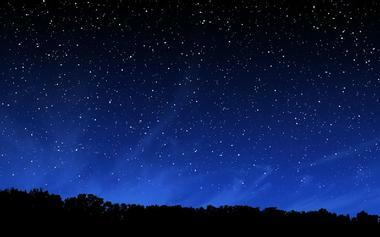 According to the Native Americans living in the area, the Marfa Lights are fallen stars. Fans of the paranormal have explained the Marfa Lights as aliens or maybe as the ghosts of Spanish conquistadors. A group of physics students from the University of Texas at Dallas explain the lights as the reflection of headlights from vehicles on nearby U.S. Highway 67. An alternative explanation is the lights are caused by layers of air at different temperatures, a phenomenon known as fata morgana. In fact, nobody really knows what causes the Marfa Lights, but it is great fun to guess. Established in 1987 in Waxahatchie, Texas, the Webb Gallery specializes in outsider art and unique artifacts of secret societies. The collection was started by Bruce Webb as a love for old handmade, painted, or repaired objects, carnival banners, fraternal lodge items, tramp art, quilts, memory jugs, and just any oddball stuff. It turned into a continuous search for the unusual, travelling through Texas, the South, the Midwest, and just about any spot in the country with something potentially miraculous. 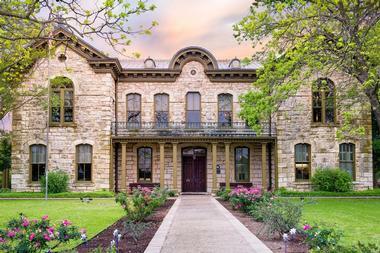 The Webb Gallery, now located in a 10,000-square-foot building about 30 miles from Dallas, not only overflows with oddities and curiosities, but also offers events, musical performances, and more. 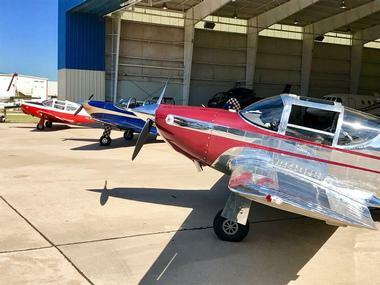 Located in William P. Hobby Airport in Houston, the 1940 Air Terminal Museum is an aviation museum dedicated to the Houston’s aeronautical history. The museum occupies the original art deco building, the first terminal built for passenger flight in Houston. The museum features a number of collections with exhibits that portray the civil aviation history of Houston, including aircrafts, uniforms, memorabilia, and other objects . The museum is operated by the Houston Aeronautical Heritage Society. The William P. Hobby Airport , with its beautiful art deco design, was once an example of great innovation and changes to the way we travel and was the only commercial terminal in Houston until 1954. After it was set for demolition in 1978, the terminal was slowly restored and opened as a museum in 2004.